I'm currently up in Edmonds, Washington visiting family and spending a couple of days with my ol' bud Bill DeVoe in Seattle before he takes off for a trip to Mexico with his wife, Marie. We're getting a good dose of rain which is nothing new up here, but I'm definitely the So Cal "fish out of water" with the rain steadily falling down this past week. Actually it's been fun wearing jeans, a down jacket and my Vibram sole shoes everyday like when it used to rain in winter growing up on the Central Coast in California. I love my shorts and t-shirt lifestyle down in San Diego, but I'm rather enjoying the cold and constant wet along with the nighttime fireplace with the missus. I also love to listen to the rain gutter drip while you lay in bed just before you go to sleep. 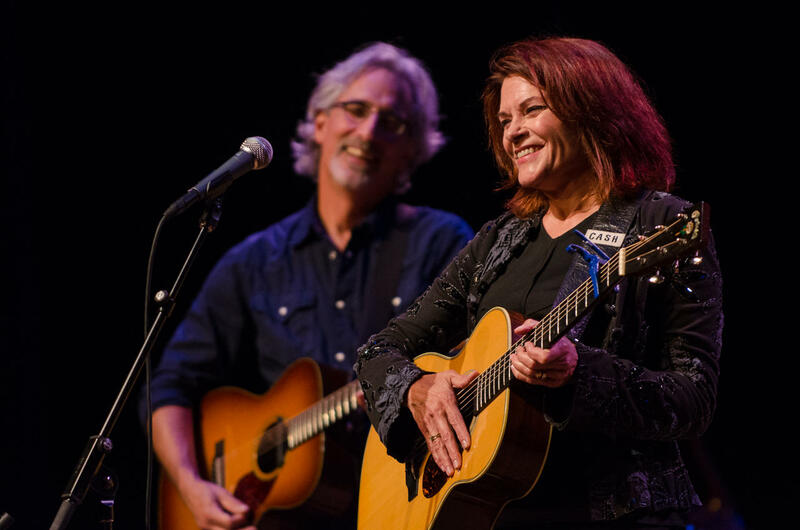 Being in the lovely small town of Edmonds is always fun, and this trip we had the pleasure of seeing Rosanne Cash and her husband, John Leventhal at the 700 seat Edmonds Center for the Arts. Both Mary Kit and I throughly enjoyed this venue as the acoustics of the theater was simply fantastic to match Rosanne's beautiful voice and the guitar playing of John Leventhal. This show is truly an Americana experience as Rosanne's set plays across her musical catalog including her 80's hits now performed with just the Duo's harmony with two acoustic guitars, or mandolin and piano accompaniment from John. 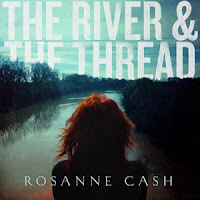 At 62, Rosanne's voice is totally intact to present the couple's songwriting together from her most recent albums, 2014's River & the Thread, and 2009's, The List. Rosanne is also a wonderful storyteller as she share's her life experiences and sets up each song so well. 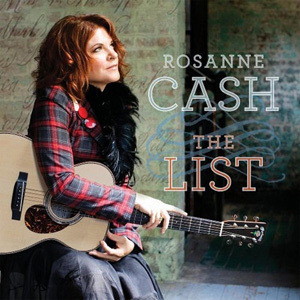 With The List she tells the story of her famous father giving her at age 18 a handwritten "list" of 100 "American roots music" essential songs. She still has that list as she learned and preformed many of the classics such as 500 Miles throughout her career. I enjoyed hearing about her going on the road right out of high school for two and half years with Johnny, Carl Perkins and the Carter family. On that tour, she learned many of the Carter family's lexicon backstage with Mother Maybelle Carter who played "badass" guitar along with the other Carter family members. I also enjoyed learning about Rosanne and John's 23 year marriage and their "all getting along" with first husband, Rodney Crowell who is also a fantastic singer-songwriter. Being 62 myself and living a second marriage in a wonderful blended family with my wife Mary Kit and all our combined children and grandchildren, it is nice to hear their story as well. 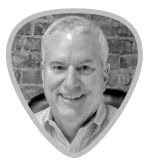 In fact, Rodney has a new song and video that I featured in My Favorite Songs of 2017, from his Close Ties album called, It Ain't Over Yet which features Rosanne Cash and John Paul White that you must listen to and I've included in this week's playlist. Life is that long winding journey filled with hope, regret and redemption that is often best captured in the written lyric with guitar in hand. Both MK and I were struck by Rosanne's and John's total partnership- married and coupled with their musical careers, it must be quite a dance, and what a fine dance indeed to see in person. I only write about shows that I really like (you know what mom's say about "if you don't have anything nice to say...") well I have a lot of nice things to say here and that comes easy with such great people as Rosanne Cash and John Leventhal live on stage. Enjoy this playlist my friends.